One of the easiest ways to super-charge your Chamber Membership is to join a volunteer committee. 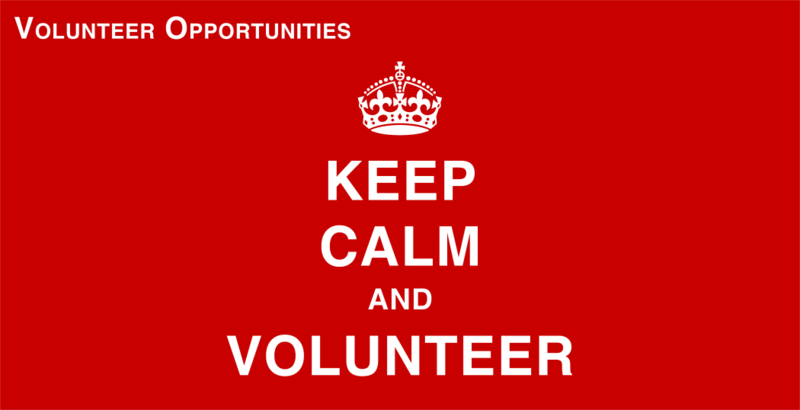 Volunteering is a great way to make new business contacts, support the Chamber and (dare we say it?) have fun! Join a committee today! Complete the Volunteer Interest Form below. The Membership Ambassador Committee is focused on Chamber sustainability through the acquisition, on-boarding, and servicing of new and existing members of the North Texas GLBT Chamber of Commerce. They serve as greeters and connectors at Chamber events, ribbon cuttings, and throughout the community.. They are the first contact that new members have upon joining the North Texas GLBT Chamber of Commerce. Members of this committee are available to answer questions about membership benefits and costs. Committee members are always on the lookout for new business that support the Chamber’s mission to foster an inclusive business community that promotes economic vitality by connecting members and advocating on their behalf. The members of this committee assist new and existing members in getting the most out of their membership. Meeting: Third Wednesday of each month. The success of the North Texas GLBT Chamber of Commerce and its work in the community depends on a strong and active group of volunteer. At the very center of all Chamber activities is the Volunteer Committee. The Chamber’s Volunteer Committee provides staffing at programs and events like Brewing Up Business, Business Connections Mixers, Lunch & Learn, and Power Lunch. Committee members assist with many tasks including event set up, registration, guest greeters, as well as attending ribbon cuttings and other special events. They strive to create an environment that is friendly and welcoming. This group is a great way to meet Chamber Members, support the Chamber, and make business to business connections. Meeting: Second Thursday of each month. Preceding the Business Connections Mixer. If you’re a morning person then you’ll love Brewing Up Business, it’s like the Business Connections Mixer only at 830 AM. It combines business referral and hot coffee and a muffin. Like the Business Exchange Network, every Brewing Up Business member presents a 30-second introduction at each meeting. Business Connections Mixers (BCM) are held in throughout North Texas on the second Thursday of each month at 5:30 PM. Chamber members and their guests, as well as anyone interested in learning more about the benefits of Chamber membership, are welcome to attend. Special Events, like the annual Celebration of Excellence Dinner, Texas Business Equality Conference, and Spooktacular are organized by special individual committees. If you are interested in participating on any of the Special Events committees please complete the form on the left. Held in the spring of each year, the Celebration of Excellence Dinner (Annual Dinner) recognizes individuals, businesses and organizations for their business success, contributions to the community, and support of the Chamber's Mission to achieve equality through economic development and advocacy. Introduced in 2016, the Texas Business Equality Conference immediately became a cornerstone program for the Chamber. Produced by the GLBT Chamber of Commerce Foundation, in cooperation with all four Texas LGBT Chambers of Commerce, Austin, Houston, San Antonio, and North Texas, TBEC provides an opportunity for small businesses to learn about business resources and develop new skills while networking with major corporations and other small businesses. Spooktacular is the Halloween-themed event produced by GLBT Leadership Education & Advocacy Program (LEAP). GLBT LEAP provides educational scholarships to GLBT and ally students throughout Texas. Spooktacular is the major fundraising event for LEAP. The North Texas GLBT Chamber of Commerce (Chamber) advocates for Gay/Lesbian/Bisexual/Transgender (GLBT) businesses at every level of government and business affairs, convening a broad cross-section of the GLBT and allied business community to develop and implement policy, establish a clear and persuasive voice in government and business affairs, and play an active role in the cities and counties of North Texas, state of Texas, Nationally and when necessary, Internationally. The Legislative Affairs Committee develops programs to promote a pro-business and pro-LGBT position on policy and projects in local, state and federal government. Our purpose: The Legislative Affairs committee is responsible for identifying and recommending positions on legislation and public policy impacting our business community. It is through this committee, subject to Board approval, that Chamber advocacy decisions are made.